According to Entertainment Weekly, Marvel has managed to find an actor willing to go completely silent for the role of Black Bolt on ABC’s Inhumans TV series. 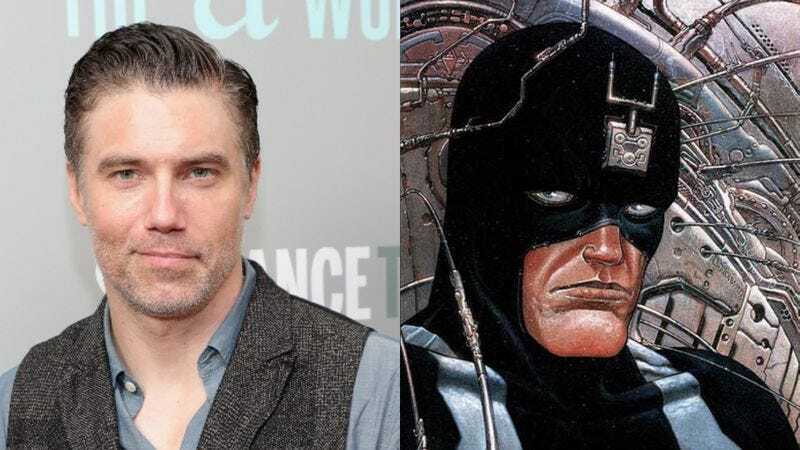 That actor is Hell On Wheels star Anson Mount, with Marvel Television’s Jeph Loeb saying that Mount “loves the challenge of playing a character who will only communicate silently” and that he’ll bring an “imposing” and “regal persona” to the character. Black Bolt is probably the most famous Inhuman from the comics, but that’s not exactly saying a whole lot, so here’s the quick rundown for people who aren’t familiar with the guy: Black Bolt is the king of the Inhumans, and his voice is so powerful that he can destroy cities with a single word. Because of that, he stays silent pretty much all the time, except for when comic book writers come up with little cheats that allow him to speak (something that the TV show will probably adopt). Also, his real name is Blackagar Boltagon, which is the sort of name you give a character when you really want their alter ego to be “Black Bolt” but you don’t want to be late for lunch. Last week, Marvel announced that Game Of Thrones’ Iwan Rheon will be playing Blackagar Boltagon’s brother, Maximus The Mad. That means we’re probably going to see the two of them interacting fairly often on the show, with Rheon making overtly villainous speeches while Mount just scowls. The Inhumans is set to be premiere its first two episodes in IMAX theaters in September, with a normal eight-episode run then airing on ABC.